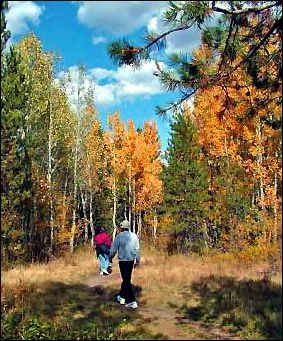 Whether real estate owners in Tahoe Donner℠ want to spend hours or just minutes hiking, the Tahoe Donner℠ area has numerous hiking trails to choose from. Adults and children alike will be impressed by this wondrous Tahoe Donner℠ amenity. The Tahoe Donner℠ area's well maintained trail system offers many miles of spring, summer, and fall hiking or mountain biking. Enjoy the beautiful spring flowers, the natural water environment of Alder Creek, or the stunning fall colors of the forests in Tahoe Donner℠. Early season hikers are likely to get a glimpse of snow patches along the trails! Trails are well marked as they curve through the neighborhoods and into the open space. 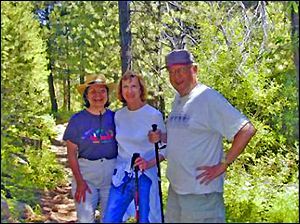 For more information in Tahoe Donner℠ hiking trails, click here.